Want to Groom Your Dog at Home? Learn to Groom Your Dog at Home: It's not Rocket Science! For a better health and style, your lovely dog needs frequent grooming. 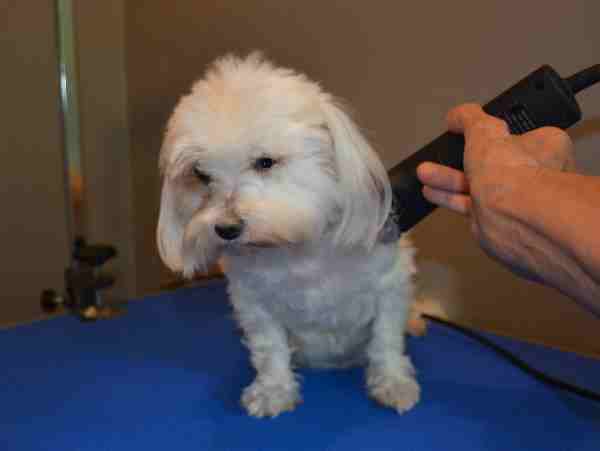 For many small breed dogs, a bimonthly visit to a professional groomer is a part of life. However, did you know, you can groom your dog at home by yourself? Grooming your dog is not rocket science and all you need is a collection of dog grooming supplies and equipment and little time to learn how to do it properly. I will share some of the easiest and basic grooming tasks that anyone can master in this article. The most common grooming job is bathing your dog. Your dog doesn't need frequent bathing like a human. Depending on the breed, however, you should wash your dog periodically. Best of all, it is a very easy task that you can perform at home. You need shampoo specifically designed for dogs. Never apply your bath soap or shampoo on your dog. 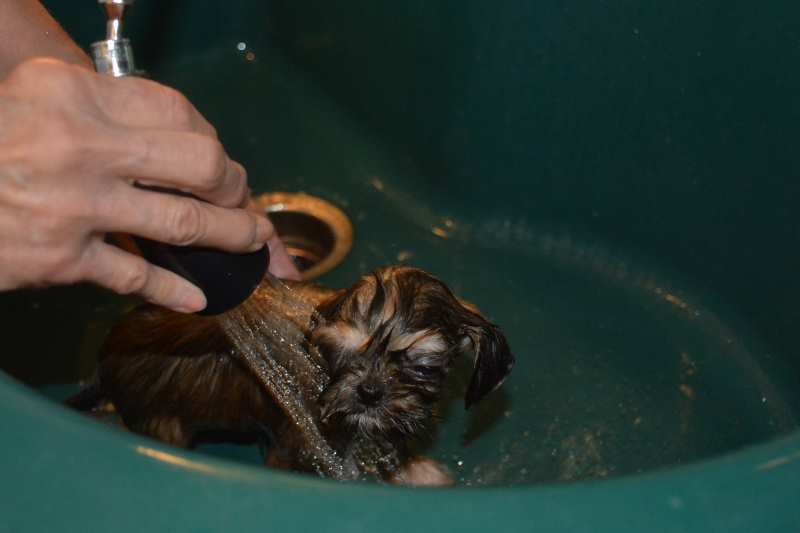 Using human bath soaps or shampoos could be harmful to your dog’s hair coat. You can find shampoo for your dog at your local shops or on the internet. Some long haired breeds will also require conditioner to keep those mats and tangles at bay. The frequency of bathing should be about every 15 days. If your dog gets dirty quickly, then you can wash him every week. But never do that more than once in a week. Experts say that bathing your dog more than once in a week could remove natural oils causing the coat to become very dry. Brushing is another easy home grooming task. Every dog loves a good brush. Frequent brushing makes your dog more comfortable and very happy. A good brushing can remove all dead hairs and can even remove dust lodged within your dog's coat. Above all, brushing your dog leaves him looking great. 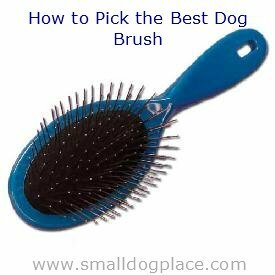 There are many different types of brushes that you can use depending on your dog’s coat type. Unlike bathing, it is not harmful to brush your dog frequently. Many dogs will sit, stand or lie for hours while you brush, but not all. For those dogs that are not a big fan of being brushed, it is important to try and understand your dog's mood. Sometimes your dog might not be in the mood. Avoid grooming your dog at that time. It is better for you and your dog if you choose a time that is good for both of you. Often, brushing is better accepted when the dog is exhausted. Don’t forget that dogs love treats and will work hard to earn them. Reward your dog after you finish brushing. Some long haired dogs also benefit from being combed. For more information on different types of combs, click here. If you want to groom your dog, trimming the hair is often part of the job. Your dog's hair will grow day by day. Extra hair makes your dog ugly and can block vision in front of the eyes or mat easily as in the case of long haired dogs. Extra hair also pulls more dust inside the coat. So you should trim your dog's excess hair periodically. Trimming your dog at home is not difficult, but it does require a little practice. You will need a pair of dog clippers for clipping. Read some best dog clippers reviews on the internet and purchase a good one. You'll find many cheap options also. If you think you will clip your dog yourself for years to come, it is better to purchase the best quality you can afford. Then start grooming your dog at home. You should trim all over the body, extra hair on feet, and head. When you are trimming on the head and feet, watch your dog's movement so that your dog doesn't get hurt by clipper. Sensitive areas are under the front legs, groin, and paw pads. It is very easy to nip the skin and the dog will not appreciate being cut. There are a variety of clipper blade styles and sizes and the plastic combs that snap onto the blade. If you choose to use the snap on combs, you will want to purchase a number 30 or 40 blade to attach first. Then snap on the comb. Choose the ones that work for your breed. You will also need to purchase clipper oil to lubricate the blades and a coolant if you only have one blade. Coolant sprayed onto the clipper-blades will keep them cooler so you won’t accidentally burn the dog’s sensitive skin. Alternatively, having two blades of the same size to switch between will assure your dog does not get burned by hot blades. Blade cleaner is also a good idea so that your blades can be used over and over without the worry of passing on germs from one clip to another. This is especially important if you have more than one dog that you plan to trim. The frequency should be once in a month. If the hairs grow very fast, then you can trim once in 15 days also. Some breeds can go for up to 2 months between trims. Basically, it depends on the growth of your dog's hair. Remember, healthy coats grow fast. Cutting nails regularly is all part of grooming your dog. This is the most essential grooming task to do at home. Nails grow quickly and tend to get sharper and longer every day. It is no fun to get scratched by long nails, and it may hurt you or your children. That characteristic “clicking sound” that you hear when a dog walks on hard surfaces is a sure indication that their nails are too long. So, for your dog’s comfort and safety, it is better for you to cut the nails periodically. If your dog does not go outdoors on concrete, you will need to cut your dog's nail more frequently. Walking on concrete surfaces tends to file the nails down naturally, but is not a substitute for clipping or grinding. 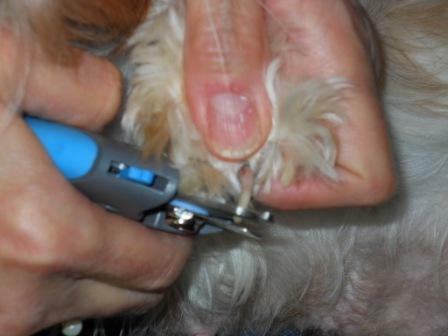 Nail cutting needs a little experience because your dog’s nails have two parts. There is a blood vessel in the center of each nail that gets blood circulation. The outer part of your dog's nail doesn't receive any blood. You should clip the nails where there is no blood vessels. If you accidentally cut into the blood vessel, the nail will bleed profusely and cause pain to the dog. White nails are easier to clip than black nails. You can actually see the blood vessel within a white nail and avoid cutting the pink area which is where the blood is circulating. Black nails are trickier than light colored ones because you have to guess where the vein ends. If your dog has both white and black nails, clip a white nail first, then clip the black nails the same distance as the white. It can be a little confusing. You may want to have some blood stopping powder on hand just in case you accidentally slip the nail too short and hit that blood supply. But I believe you can learn the process and perform at home. Don't be afraid, it's not as hard as it seems. I hope you understand how you can groom your dog at home. Now it's your turn to start grooming your dog regularly. These simple grooming tasks not only make your dog good looking but also healthy. 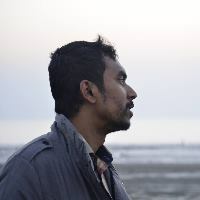 Besides technology and programming Manas Bala spends most of the time with his pet. He is an amateur writer sharing his experience with his pet writing articles on dog behaviour, training, grooming, stories etc.